'Avengers' star cast along with the CEO of Disney have recently done a praise worthy work by teaming up for a great cause of donating whooping $5 M for the Children's Hospital with the hope of helping the needy children as possible as they can. Disney & 'Avengers' stars has given the donation of cash and toys to Starlight Children's Foundation in the name of Avengers Universe Unites campaign, which is Walt Disney Company's signature philanthropic commitment to Disney Team of Heroes, according to Disney. The LEGO Group, Hasbro, Funko and Amazon all donated. 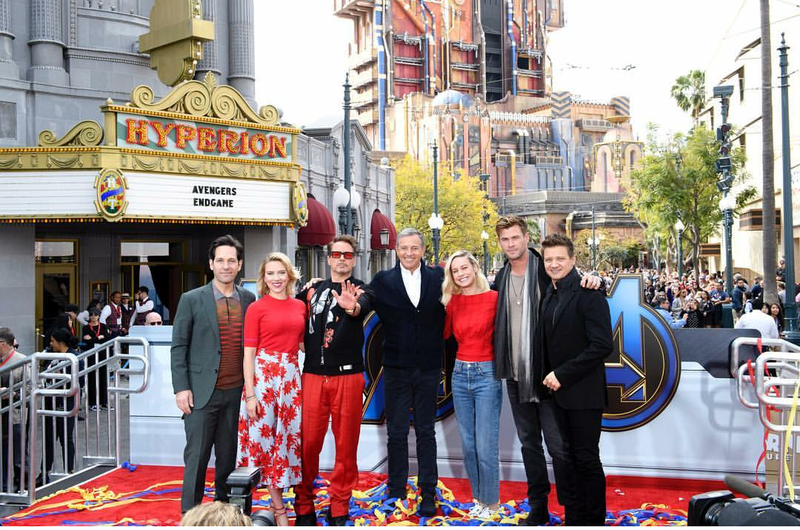 There was celebration meeting at Disney California Adventure Park where various star cast of 'Avengers' like Robert Downey Jr., Chris Hemsworth, Scarlett Johansson, Jeremy Renner, Paul Rudd and Brie Larson were present along with Disney's CEO in the event. During the news press, Iger said, "The superheroes in Avengers personify traits like courage, perseverance, bravery and hope — the same traits countless kids and their families in children's hospitals exhibit every day. We are grateful to have the Avengers cast take time out of their day to be a part of this effort to lift spirits and bring comfort to children during a difficult time." The donation straight went to Starlight Children's Foundation. According to the release he expressed his happiness saying, "From delivering hospital care packages to storytelling through Starlight Xperience virtual reality to our recent Disney-themed Starlight Gowns, millions of seriously ill children have benefited from our amazing relationship together." Avengers: Endgame is nearly its release date which is in April 26.